The decision reminds me of that made by business and civic leaders in Dublin, Ohio – outside Columbus – several years back to remake the central part of their suburb into a decidedly more walkable, amenity-laden and urban downtown. That decision, too, was made in large part to attract a talented workforce to the several large companies that have major offices there. And the process is now well under way. The trend toward urbanizing jobs is not limited to the suburbs, though. A report released by City Observatory last month and reported in The New York Times shows that there has been a subtle shift in the last few years toward more new jobs in city centers, while employment growth is shrinking in the suburbs. To be fair, those are small numbers, and that is a short time period. It might be more candid to call it a hopeful sign for cities rather than a clear reversal of a longstanding trend. Skeptic Jacob Anbinder opined in The Week that the statistics were actually “discouraging” on closer inspection, revealing that half the 41 cities studied “actually saw peripheral job growth that was equal to or greater than core growth” during the time periods studied, and that 24 of the core districts lost jobs over 10 years. That may be true, but I still think the fact that aggregate job growth is now greater in the cores than in the suburbs, and that a substantial number of metro regions are now seeing greater job growth in the cores is newsworthy, given the overwhelming disinvestment that took place in central cities for decades. Anyone who has missed the urban resurgence that has been energizing America in the last decade just isn’t paying attention. It’s a new trend, to be sure, but I look for it to become more widespread and pronounced. That said, there are some flies in the ointment, if not necessarily the ones flagged by Anbinder. In a story headlined “The McMansion is back, and bigger than ever,” published late last month in The Washington Post, Christopher Ingraham reports that new home sizes have risen sharply since the recession and are now larger than they were even during the heyday of suburban sprawl in the 1980s and 1990s. Ingraham speculates that a reason may be that younger would-be buyers are sitting out the market because of tight credit rules and that “much of the activity in the housing market is from wealthier families looking to trade up — and they’re looking for bigger and better.” Maybe so, since the home ownership rate has dropped a few percentage points since peaking around 2003. Sizes have increased, but sales have declined. I also would be interested in seeing some analysis of that’s going on with lot sizes, as opposed to home sizes. 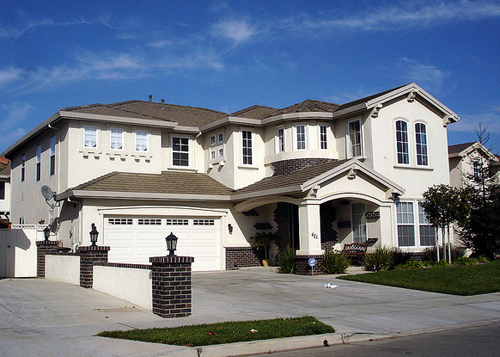 Even large homes are being built on relatively small lots these days. My friend Payton Chung reported last year that the annual increase in newly developed land peaked in the mid-1990s, and then declined even during the period in which home sizes were rising. Large home sizes say something about consumerism, and they may say something about which part of the market is buying, but they do not necessarily say anything definitive about sprawl. 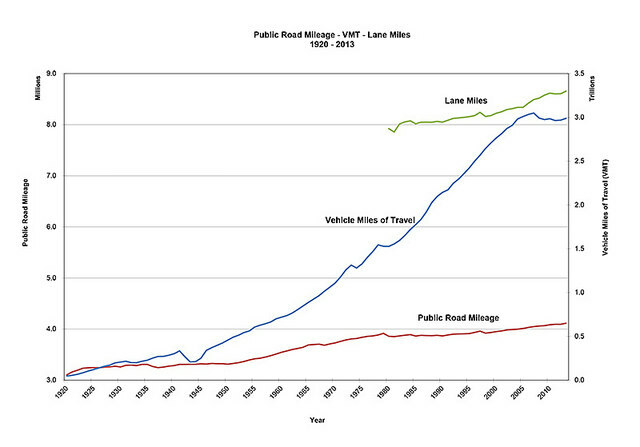 Another potentially adverse trend for urbanists is that the aggregate national driving rate (total vehicle miles traveled on US public roads) is climbing again. In 2007, the total VMT on American roads was 3.049 trillion miles, an all-time high. By 2011, the number had declined to 2.965 trillion and, by 2013, the most recent year for which the federal Department of Transportation has published data, the number had risen to 2.988 trillion. As with the data on new job location, these are small differences but they do indicate that driving is up since the recession, as one might expect. But the real numbers to watch – and, unfortunately, I don’t have them for today’s article – are driving rates per capita and per age group. Until the data prove me wrong, my continued belief is that the driving rate per capita may rebound somewhat but will not again reach the all-time high it experienced in 2005 (see the graph in this article); I also belief that the Millennial generation will continue to drive less than their predecessor generations as they age. 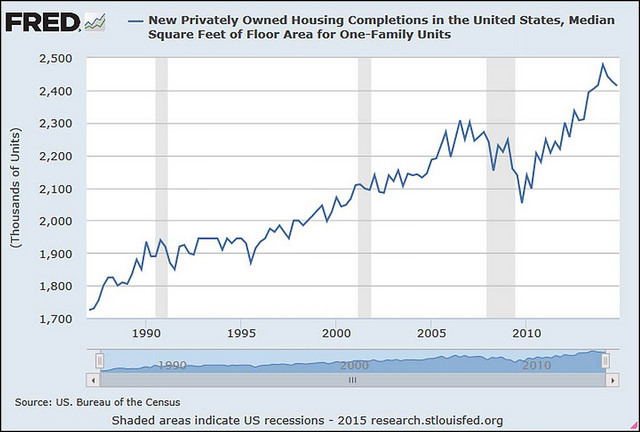 I don’t doubt that, but the numbers in Semuels’s article tell a less dramatic story: in 2005, builders in Las Vegas were obtaining permits for 30,000 new homes per year; that number, even post-recession, is down to “about 7,000 a year.” She quotes a number of analysts to the effect that these developers are betting on the wrong proposition long-term, as consumer preferences are inevitably (if slowly in some places) shifting to a different, less sprawling model. When I put all of this information together, I think that we are seeing two trends here, superficially at odds but not really. First, there is a trend toward more compact, walkable, and amenity-laden living and working, both in suburbs and in cities. And second, there is a rebound effect from the recession, and that rebound includes some new low-density development and increased traffic. But the former trend is going to be larger and more powerful than the latter, in my opinion. 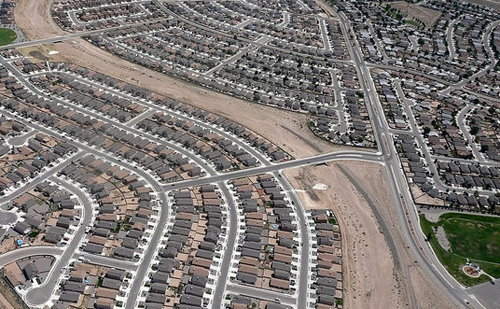 I do not believe that sprawl is dead, but I do think it will continue to lose market share over the long haul.